Win this beautiful cast iron fondue set, worth $75! WE ARE RAFFLING THIS BEAUTIFUL FONDUE SET (worth $75)… LIKE US* on Facebook or Sign up for our e-newsletter in our store to enter. A winner will be picked on 12/24. *People who have liked us will be entered automatically. 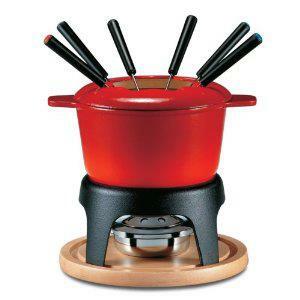 Swissmar Sierra 11-Piece Meat Fondue Set, Red Enameled Pot, consists of 1.6 quart enameled cast iron pot and splatter ring, 6 forks, black enameled fondue rechaud (stand), paste/gel fuel burner with a wooden base/trivet. When the liquid inside is bubbling nicely, it’s time to dig in. For safe, cool handling, there are two wide handles as well as a removable splatter guard that fits snugly on the pot with slots for the six forks. Let’s paint the town red, this Saturday!! 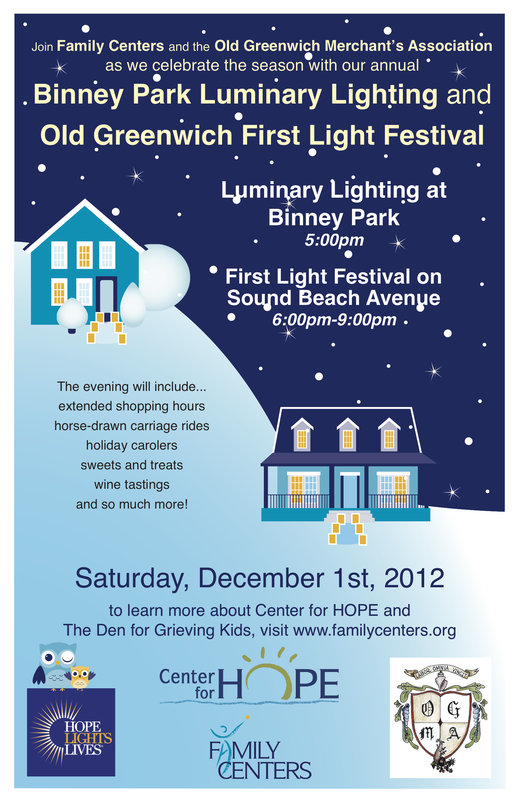 We are gearing up for the annual First Light Festival… the garlands, the trees, and lights are up. This year Cook and Craft is partnering with African Portfolio, the 2009 pick by National Geographic Adventure Magazine as one of the Best Adventure Travel Company. African Portfolio will be showcasing Amarula Liquor, made from the fruits of Marula tree which only grows on the plains of Africa. Apparently Marula fruit is often enjoyed by elephants, hence the elephants on Amarula’s labels. The Marula fruits ferment a bit after lying on the ground and the elephants do get slightly tipsy from eating them. We wonder if African Portfolio shows drunk elephants on their safari trips… that would be a sight! 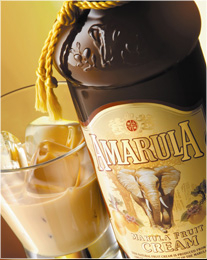 Amarula would also be a great drink for the holidays, and First Light Festival is the perfect time to come and try it. The holiday season is here which means it’s time for loving family fun, peaceful relaxing times, reflection on the year behind us, sunny visions for the year ahead and of course giving thanks over a delicious meal for all that we experience in this life everyday. What about the stress? The last minute shopping, extended family coming to town and preparing a meal for 10-15 -20 people…arrrgh! Don ‘t let this stress happen to you. Make an action plan and get a little something done everyday. 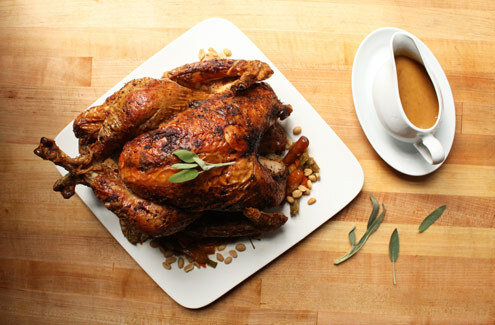 Order an organic turkey, shop at the farmer’s market, survey your cooking tools , linens and serving pieces. 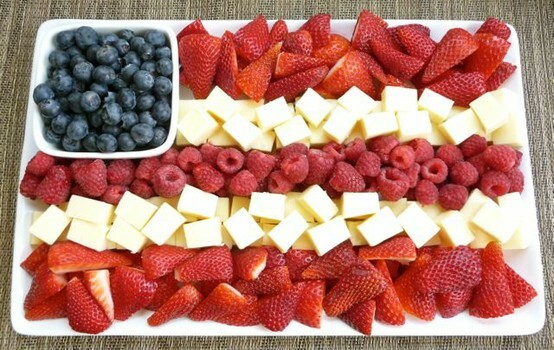 Delegate a dish or two to your guests, your husband, or even your kids…pot luck style is always more fun for everyone. Every year at Cook and Craft we can sense the nerves spreading through our community of cooks. We want to alleviate your stress with sound advice on cooking tools or dressing your table as well as providing great hostess gifts and pantry items. It always seems to be our cooking tips that help the most so this year we printed a recipe book which you can pick up for free next time you are in the shop. Here is an excerpt …. The butter massage, the cheesecloth blanket, and roasting breast side down may all be valid tricks to achieve the best flavor from your bird. This year try using a brine and you will notice a more moist and flavorful result. Here’s a basic brine recipe that will work great for your Thanksgiving turkey, and also delicious when roasting chicken and pork. In a large pot bring above ingredients and 6 qts. of water to a gentle boil to dissolve completely the salt and sugar…. add ice and more water to reach about 12 qts. 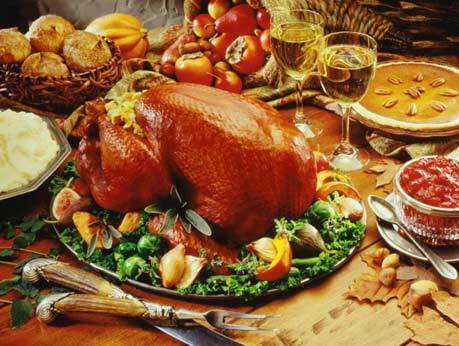 Turkey should be covered with brine in a large stainless pot, plastic container, or brining bag. Refrigerate 12-24 hours. Brining meat for about 1 hour per pound is a good guide. *other nice additions to your liking could include cloves , cinnamon, fresh thyme, fresh rosemary, juniper berries, whole allspice, jalepeno chilis, or fresh ginger. it’s ALIVE! it’s alive, i tell ya! 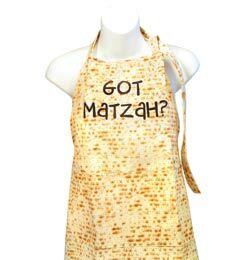 first off, let’s get our matzoh or matzah apron on. you can get this from popjudaica.com. then, let’s get creative with this dry crackers and make matzoh ice cream with chocolate cover matzoh pieces. hey, who’s to say that matzoh is only good in the chicken broth?? to me, the whole passover story is about liberation and freedom. and this ice cream recipe is liberating matzoh from its humdrum existence and its predictable usage.